Tina Dolph, a more than two-decade government industry veteran, has been named president and CEO of Siemens’ U.S. federal arm in a move that takes effect Oct. 1. “Tina’s depth of understanding in government finance, strategy and operations aligns perfectly to SGT’s continued growth,” Anne Altman, board chairman at Siemens Government Technologies, said in a statement published Tuesday. Dolph will assume the role previously held by Barbara Humpton, who became CEO for Siemens’ entire U.S. operations in June. Dolph most recently served as chief strategy officer at CRDF Global and spent a year as executive vice president and general manager at FCi Federal, which PAE acquired in June 2017. She joined FCi from ASRC Federal, where she served as president of information and technical solutions. Dolph previously served as chief operating officer, EVP for company operations and president of global stability and development at PAE. 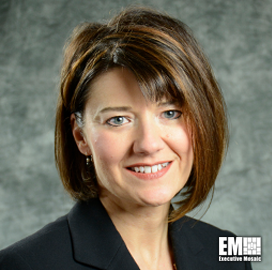 She spent 18 years at Lockheed Martin (NYSE: LMT) and held senior leadership roles in business strategy, cost estimation and pricing and operations.